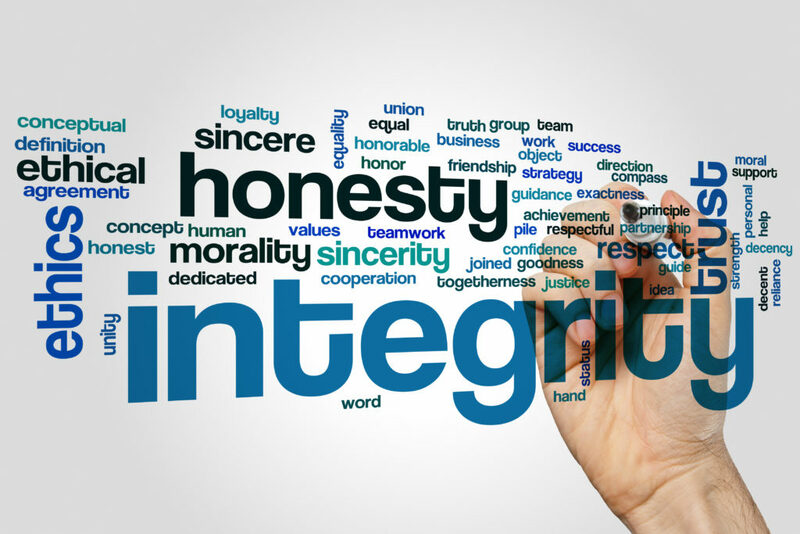 You Missed It…Integrity Is No Longer Relevant! If you watch TV these days…especially the political news, you may be wondering the same thing as me. Is integrity nonexistent? How about honesty? Does anyone still tell the truth? More and more, it seems that very few individuals care about maintaining any semblance of integrity. We live in the “Me Too” generation. Elections can be lost. Businesses can go bankrupt. Fortunes can be lost. Friendships can suffer. Any type of relationship is difficult to maintain, when there is a lack of honesty. I know as I have seen it happen many times…over the course of doing business. In the bible, the ninth commandment specifically deals with honesty. It says, “Thou Shalt Not Bear False Witness”. This is more than a simple command to tell the truth. It is a clear directive on how we should live our lives. We are expected to be honest with others…in both our personal and business relationships. You purchase a new car with expectations that the automotive dealership will be honest throughout the transaction process. In order for the deal to be consummated, there must be a trust that all guarantees and warrantees will be upheld. An employer expects that a new employee’s resume accurately reflects their employment history. You expect your children to be honest…so why wouldn’t you expect the same of yourself? Your sphere of influence will develop a powerful level of authentic trust in you…firmly grounded in upon belief system that is your core values. These core values are the foundation of true leadership. Living by this value system will intuitively compel people to do business with you. They will recommend your business to others. You will be looked upon as the Trusted Authority. Living a life with integrity gives your children and their peers…someone to look up to. They will confide in you with confidence. Be aware of how you impact others. Every social media post has the potential to influence thousands of people. Anything you say and each word that you write…has the potential to profoundly effect those around you. Do your comments reflect who YOU really are…down, deep inside? Why not take the high road? Set yourself apart from the crowd. Become that someone who is trustworthy and inspiring…truthful in all things. Be that person of integrity! Truth is important! Integrity remains relevant. You can be a Trusted Authority! It only takes one to start a movement and change the world! Why not be that empowered individual? Click here to discover a simple, effective and powerful way that you can be known as a trusted authority. Hint…it begins with the written word! Click here right now! We would love to hear your comments and see how you implement integrity into your life. So, drop us a line in the comment section below or send us an email. We would love to hear from you! P.S. Remember…It only takes one to start a movement and change the world! Start your journey today!